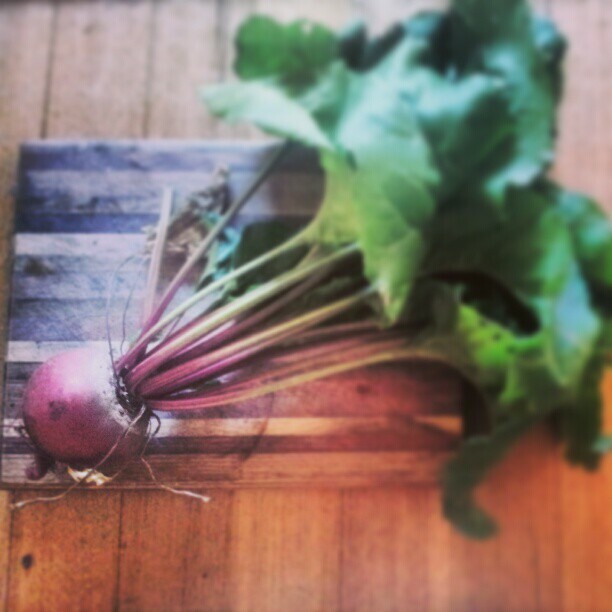 I grow beetroot all year round in the cooler climate of Melbourne, although I have read that it is best to grow during September to April in my area. Originally I liked to sow my seeds in punnets and then transfer out into the garden when they were large enough. With this method I used to lose half the seedlings, either to snails or poor transplant. This season I have had limited energy so have taken the 'lazy' approach and just sprinkled seeds direct into my beds and I have found that this has been quite successful (although they are still in the early stages). I think 6-10 seeds sown every 3 or so week is enough if your family enjoys beetroot, sow a few more if you especially enjoy beetroot chips! During summer we have a drip irrigation system and the rest of the year I allow the rain to water my garden, I don't find this affects the quality of the beetroot, even though they sometimes go days without a water. My soil is relatively free draining (I enjoy a no dig garden and allow the worms to do the digging for me) which the beetroot enjoy. I harvest my beetroot when the root starts to push up through the soil and when I can see the seed head forming at the base of the leaves. My gardens are fed with compost twice a year and covered with a straw mulch which is spent from my chook sheds. When I have worm wee I also use this to feed my beds. I find this to be sufficient for beetroot's growing needs (and everything else in my garden). The variety that is found in my garden is the diggers club heirloom mix. I love the spontaneous colours and being surprised by what I pull, although the leaves usually give it away! I only grew beetroot once several years ago, but it was, as you say, quite successful and undemanding. Do you think it would be too late to plant them now? It is definitely not too late! I sowed some seeds several weeks ago and they are growing well (even in the cold snap in Melbourne). I also put another succession in a few days ago and will probably keep doing this all winter :D They are such a lovely vegetable and I have only started eating them over the last year (as I was only accustomed to the tinned variety). I'm in the us and I love love love beets (we don't use the root at the end) I love them steamed with salt and butter or pickled. Your beets look amazing! It is a great mix, the white ones are interesting as they don't look like beetroot, but the yellow red and red and white striped are beautiful!